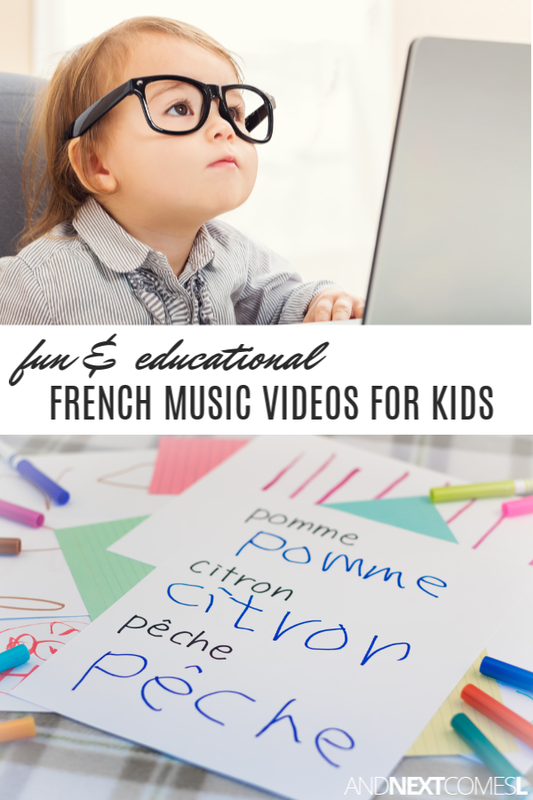 Teach your kids French with these fun and educational music videos for kids - they will likely get stuck in your head too! 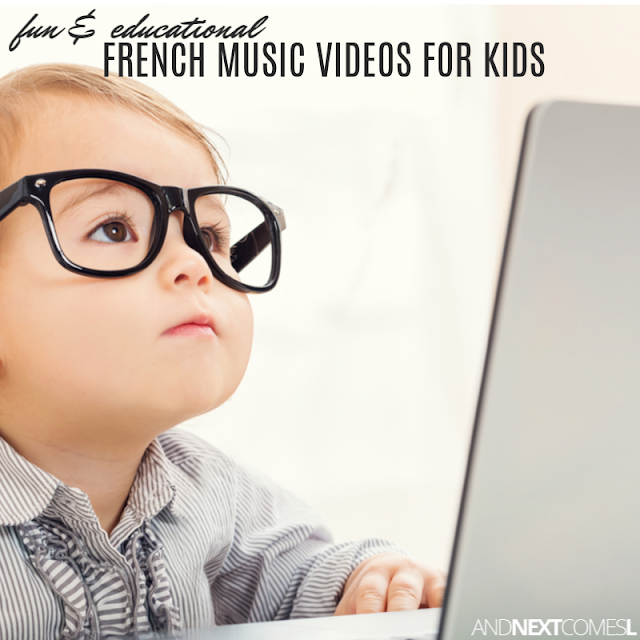 When my kids started French Immersion kindergarten, we would watch a lot of French music videos on YouTube to reinforce some of the concepts they were learning at school. From learning about the alphabet, colors, and the days of the week, these songs are ridiculously catchy and fun. So if your child is currently learning French, then you are going to find this list of French music videos for kids helpful! Perhaps the most catchy music video on this list is this "Papa pingouin" music video. It gets stuck in my head all the time. But how can you go wrong when cute dancing penguins are involved?! I just wish that this video also showed the lyrics in French. My little hyperlexic learner needs those written words to help him learn. Regardless, the song is super cute, as is the video. The other song that gets stuck in my head all the time is "Ya a un chat." It's a cute way to practice prepositions in French. This "La famille des doigts" video is a great way to practice the names of the different fingers, to learn about family members, and to practice asking questions. J likes to sing this song quite a bit. But the video that five year old J loves to sing the most is "Lundi Matin." I've already mentioned this video in the days of the week Scrabble math printable, but since J loves it so much, it is worth mentioning again. Want to teach your kids how to say the alphabet in French? We love to watch this video. How about teaching the numbers in French? These dancing Jamaican worms (so random, I know!) will help you learn them! Here are two French music videos that teach colors. Here's a catchy song to work on French greetings. J also adores singing this one! Here's the other video that we enjoy watching to work on the French days of the week. This French months of the year music video is great too! If you have any recommendations for fun French music videos, then leave them in the comments so we can check them out! This is a GREAT resource, Dyan! Thank you!! Thanks, Ann! Glad you found it helpful.